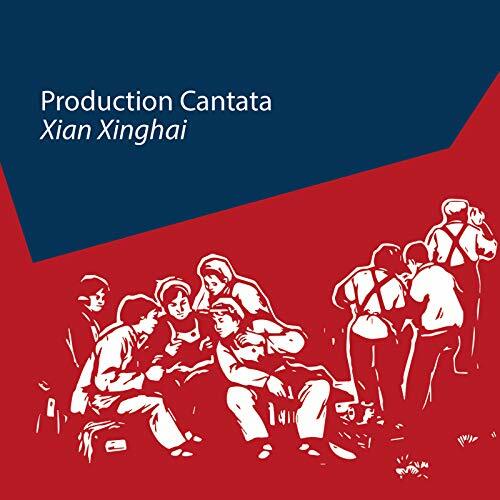 Eight decades after the premiere of Xian Xinghai’s Production Cantata, this forgotten masterpiece from China’s first great modern composer has not only been finally recorded for the very first time but given the recording perfection it deserves. The Production Cantata was first performed on March 21, 1939, in Yan’an, the “Red Capital” of China in the dusty, impoverished northwest, where Mao Zedong and fellow Long Marchers had fled from Chiang Kai-shek’s Nationalist forces, and now, in a truce, from where they rebuilt their strength and mounted their anti-Japanese resistance. 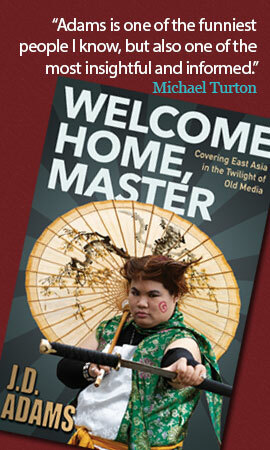 This amalgam of West and East was exactly what Xian aspired to achieve, though admittedly with better resources. Xian Xinghai (1905–1945) was an influential pioneering composer who helped bring Western classical music to China and purposely sought to create unique compositions drawing on Chinese musical traditions. His tragic yet fruitful life is in some ways the story of artists of his generation; there was a heartbreaking immensity of talent in the China of the 1930s, much of which would be snuffed out by war and purges. Xian was born in Macau into a poor family, made poorer yet by the death of his fisherman father before his birth. Xian’s school years were spent in Singapore and then Guangzhou, where he discovered a passion for music. His musical education took him to Peking and Shanghai. Despite his penury, he was determined to become a great composer. To this end Xian sailed for Paris, paying his fare by working odd jobs aboard ship, and spent the years 1930–1935 in the city, studying composition under the greats. It was a time of terrible deprivation for him, hunger little alleviated by all-too-occasional part-time work; but such was his talent and obvious character that his professors not only waived their fees but offered material support. In 1935 Xian left Paris for his homeland. In his absence the Japanese had seized the huge northeastern territory of Manchuria, made other incursions, and in 1937 would launch a full-scale invasion. Xian employed his talents writing “national salvation songs” for patriotic records and films. In 1938 he was invited to teach at the Lu Xun Academy of Arts in the remote Communist base of Yan’an. Although the school didn’t quite live up to the grand name of “Academy” – it lacked many basic Western musical instruments; indeed, there was not a single piano in Yan’an – singing and music were at least seen as having an important role in morale-building and propaganda work. In addition, being forced to make up for the shortage of Western instruments by utilizing available Chinese instruments pushed Xian in a direction he wanted to go anyway, and we can hear this successful fusion in the Production Cantata. The Production Cantata consists of four movements, which follow the annual farming cycle: “Spring Plowing,” “Planting,” “Harvest,” “The Abundant Year.” The tasks of plowing, planting and harvesting are given – in the lyrics especially – a heroic martial flavor, the civilian wartime effort painted as a vital weapon against the Japanese invaders. 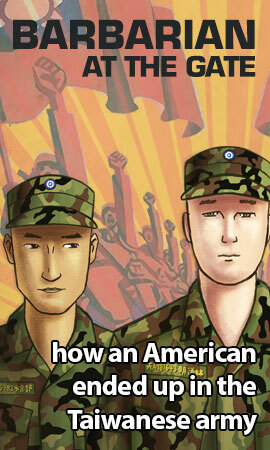 The peasants are determined to grow more grain – hence the “Production” in the title – for the defense of the nation. On top of the four movements of the Production Cantata, the recording comes with four additional tracks: “Farewell at the Yang Pass” and “The River Runs Red,” which are based on poems, and “Rainy Day” and “Vegetable Picking Song,” two short pieces composed by Nicholas Smith. The lyrics of “Farewell at the Yang Pass” come from a Tang dynasty poem, “Seeing Off Yuan Er on a Mission to Anxi,” by eighth-century painter and poet Wang Wei, which describes parting with a friend near the end of the Great Wall in the far west of China. Because you will find no friends west of the Yang Pass. “The River Runs Red” is a choral composition by Zheng Zhisheng, a contemporary of Xian. It is based on a poem from the Southern Song dynasty, with patriots vowing revenge against the Jurchen invaders from the north – a message obviously applicable to the Chinese resistance against the Japanese. From this angry work, we end on happier notes with Smith’s compositions based on folk songs from Guangdong and Sichuan provinces. In “Vegetable Picking Song,” farmers rejoice at a bountiful harvest with an almost tongue twister roll call of vegetables. The Production Cantata recording is a magnificent achievement. Credit goes to the members of Beijing’s International Festival Chorus (IFC), the Baroque Chamber Chorus of Beijing, Beijing No. 80 Middle School Choir, soprano Shen Yun, and above all composer and conductor Nicholas Smith. Société Générale, a French multinational banking and financial services company, also deserve praise for their financial backing of the project. 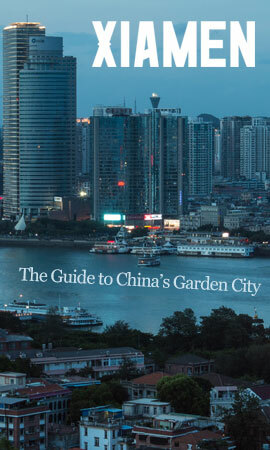 The CD comes with exemplary, detailed notes by Michael Aldrich, the author of several books on China, including The Search for a Vanishing Beijing. Aldrich’s notes aid greatly in making this recording accessible, by giving clear explanatory accompaniment to the musical pieces themselves and also fascinating background on Xian Xinghai. The lyrics are given in Mandarin and various languages, though, unfortunately, not in Hanyu Pinyin. British-born Nicholas Smith is the artistic director and chief conductor of the Peking Sinfonietta and the International Festival Chorus, which he co-founded. 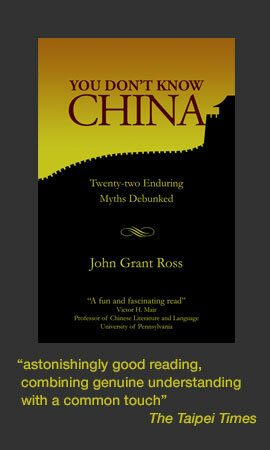 After studying music at Cambridge University, Smith moved to China in the 1980s to learn Mandarin and work as a volunteer. Based in Beijing since 1995, where he established himself as one of the country’s leading legal translators, he gave up his successful professional career to concentrate fully on his mission to bridge the musical worlds of China and the West. For these efforts he was awarded an OBE (Order of the British Empire). Let us return to Yan’an in 1939, when the Production Cantata was unveiled. After eighteen fruitful months, Xian’s time there was unexpectedly cut short. In 1940 he was dispatched to theSoviet Union to work on the composition for a full-length documentaryon Yan’an and China’s military resistance. Xian’s life in the USSR was hard, and with the German invasion he found himself trapped there. He died of pulmonary disease in Moscow in 1945 at the age of forty. Xian’s music and musical influence lived on. The Production Cantata, however, would not be performed again until 1966 in Beijing, and then only once. Lost for decades, Smith located the sheet music and gave the Production Cantata a new life, first with a performance in Beijing in 2015 and now permanently with this wonderful recording. Hard Copies of the Production Cantata CD can be ordered from Taobao.